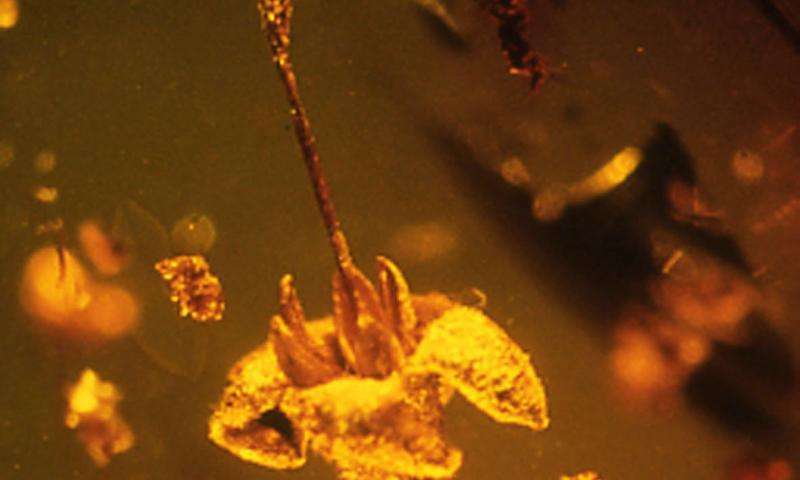 A Rutgers scientist has identified a flower trapped in ancient amber as belonging to a species completely new to science. 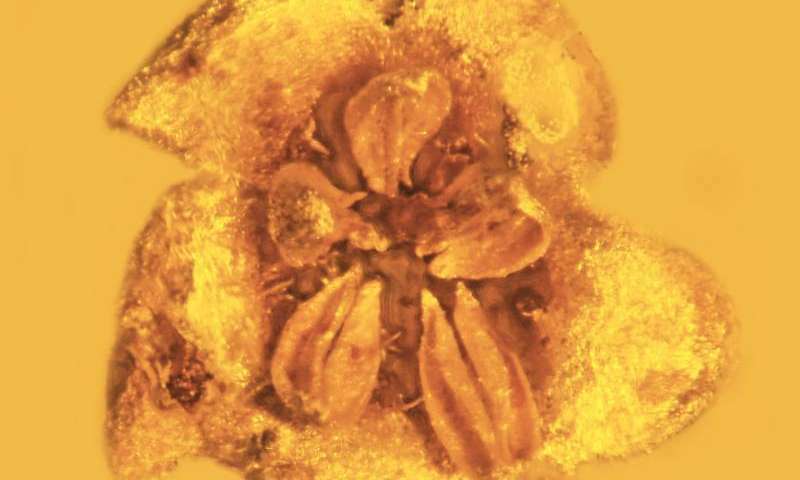 Lena Struwe, professor of botany in the School of Environmental and Biological Sciences, has discovered that two flowers found encased amber for at least 15 million years belong to none of the known 200 species of the genus Strychnos. Therefore, they represent a newly discovered species, Strychnos electri. Struwe coined the species name in honor of its amber origin, since elektron is the Greek word for amber. 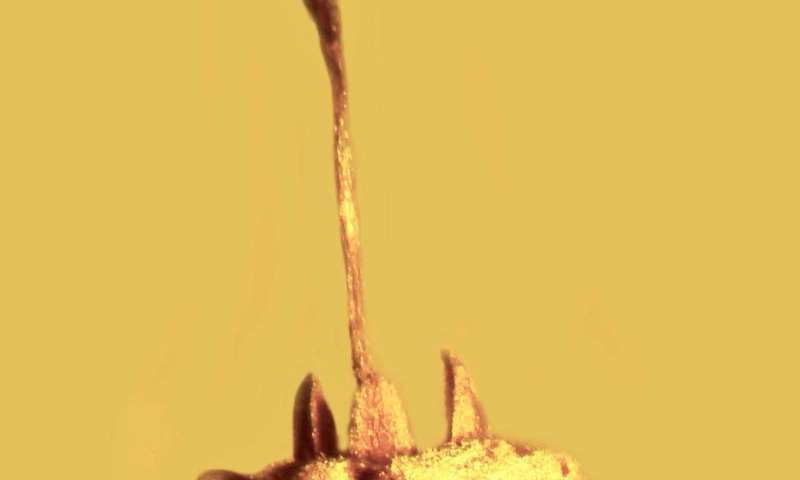 Struwe and the entomologist George Poinar, renowned for his studies of insect fossils trapped in amber, are publishing their findings in the journal Nature Plants. Poinar is professor emeritus of integrative biology at Oregon State University. Amber is fossilized tree resin. Although scientists often find plant fossils in amber, they're usually just fragments - a petal here, a stamen there. Intact specimens are rare. These flowers were among 500 fossils, mostly insects, Poinar brought back to his lab from a field trip to an amber mine in the Dominican Republic in 1986. The insects kept Poinar busy for years. But this specimen eventually caught Poinar's eye. "These flowers looked like they had just fallen from a tree," Poinar says. "I thought they might be Strychnos, and I sent them to Lena because I knew she was an expert in that genus." Struwe received several high-resolution photos of the specimens from Poinar in April. Within a few months, she was able to confirm that Poinar's fossil belonged to the genus Strychnos, which consists of tropical trees, shrubs and lianas. The genus is famous as the source for the toxin strychnine. Struwe then embarked on a taxonomic comparison with living species of Strychnos. Technological advances notwithstanding, the search involved physically examining dried specimens of the known species collected by explorers and botanists over the last 200 years and comparing their flowers in detail with the new amber specimens. For Struwe, this meant visits to the William and Linda Steere Herbarium at The New York Botanical Garden, and the Lewis and Clark Herbarium at Drexel University's Academy of Natural Sciences in Philadelphia, both of which have extensive collections of tropical plants, especially of Strychnos. 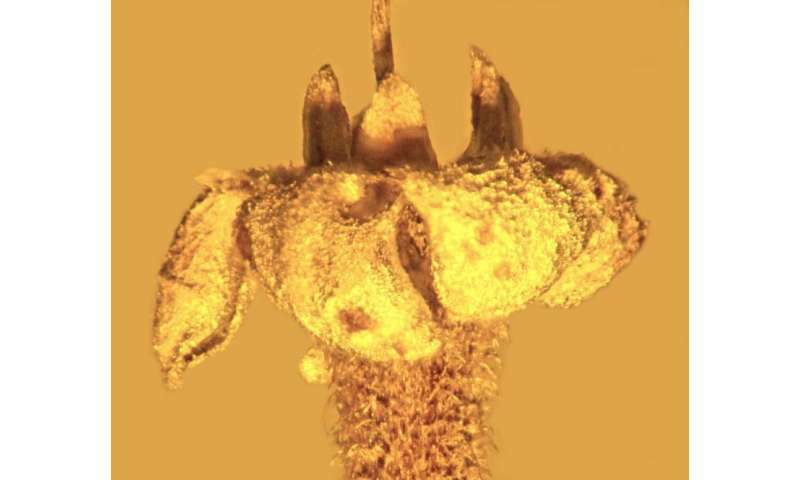 "The characters mostly used to identify species of Strychnos are flower morphology, and that's what we luckily have for this fossil," Struwe says. "I looked at each specimen of New World species, photographed and measured it, and compared it to the photo George sent me. I asked myself, 'How do the hairs on the petals look ?' 'Where are the hairs situated?' and so on." For Struwe, this was a road traveled many times. In more than 20 years of work, she has named one new plant family, discovered three new genera and about 50 new species. "This fossil turned out to have particular significance for our understanding of the evolution of plants in the Caribbean and the New World tropics," Struwe says. "The discovery of this new species in a 30-year-old amber collection highlights that we still have many undiscovered species hidden away in natural history collections worldwide and not enough taxonomic experts to work through them. Strychnos electri has likely been extinct for a long time, but many new species living and, unfortunately, soon-to-be-extinct species are discovered by scientists every year."